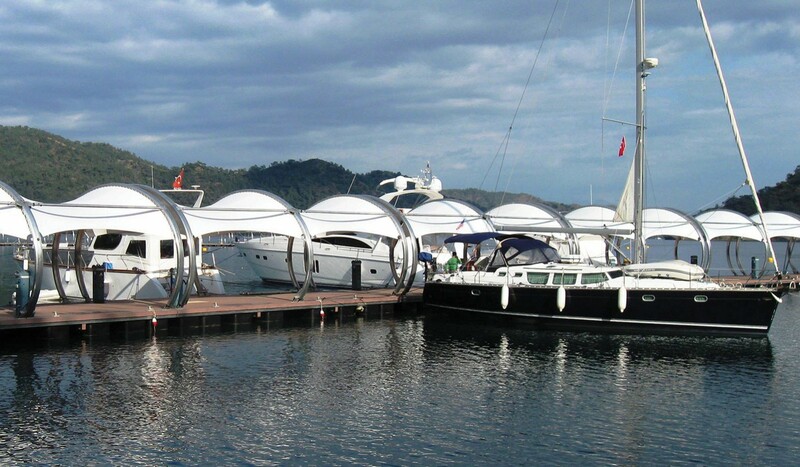 Göcek Exclusive is a megayacht marina that is fully shaded from both sun and rain. 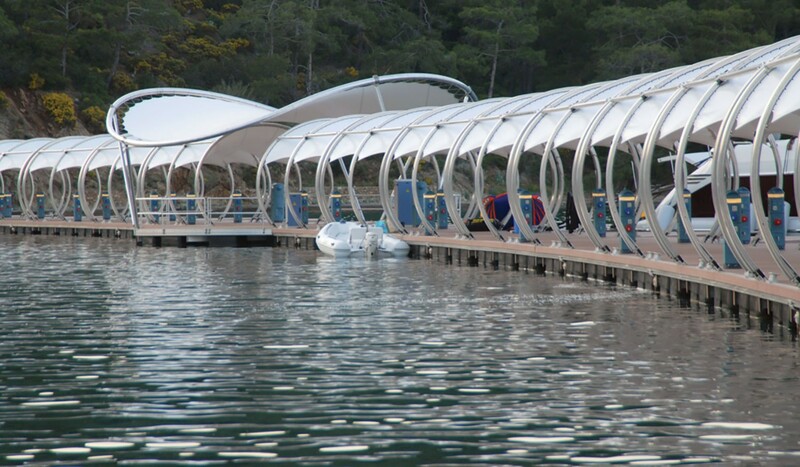 The 5 meter wide walkways pass through round covered lounge areas which are shared by all users. 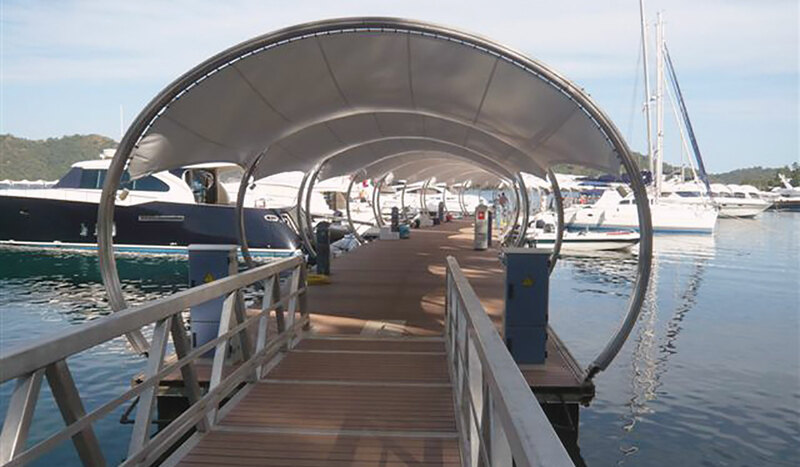 Large individual patio moorings give each berth its exclusivity. 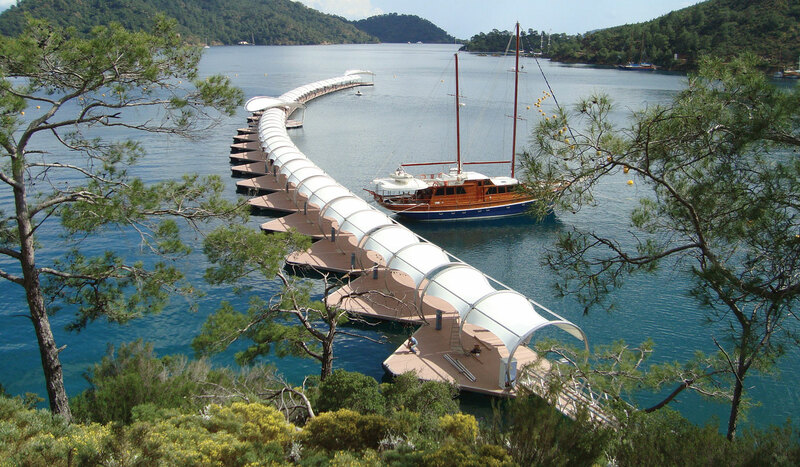 The curved walkways reflect the natural contours of the shoreline and allow the yachts to face the waves for more comfort to the boaters. The marina is engineered to withstand 120 km/h (75 mph) winds and has a completely hidden anchoring in a 20 meter (65 ft) water depth.